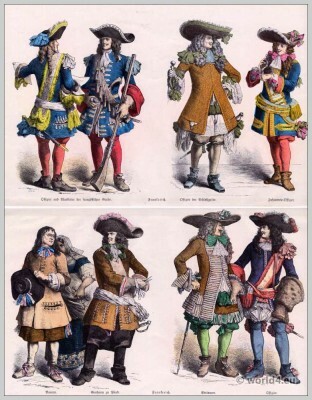 Home » French Musketeers in 1650. French Musketeers. Baroque fashion period. Second third of the XVII. Century. 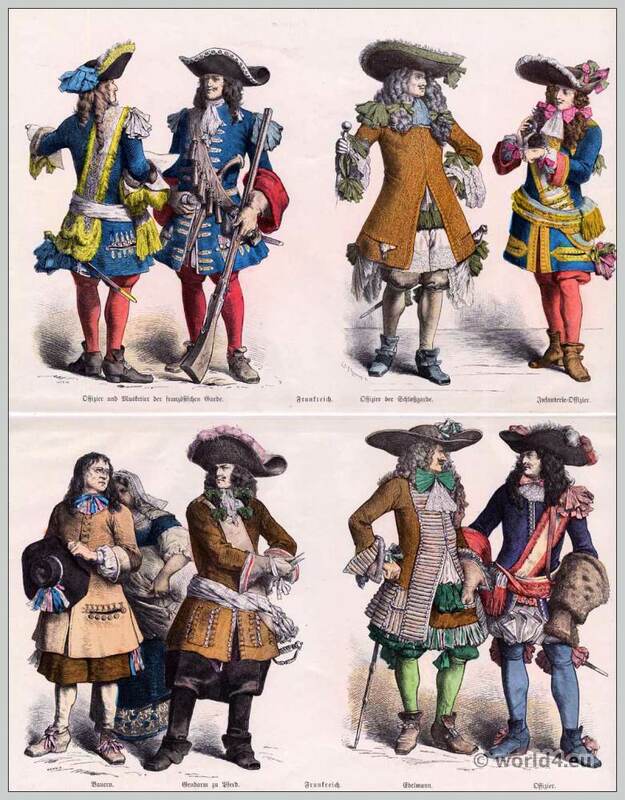 Top row left: Officer and Musketeer of the French Guard. Right: an officer of the palace guard. Infantry Officer. Bottom row left to right: French farmers. Policeman on horseback. Right: French nobleman and military officer. Ancien Régime fashion. Louis XIV. Ancien Régime. Baroque fashion era. This entry was posted in 1650, 17th Century, Ancien Régime, Baroque, France, Military, Nobility and tagged Baroque fashion, French military uniforms, Münchener Bilderbogen on 1/15/14 by world4.